See that lit up neon in the extension lead? We made that! With our own home-made electrons! 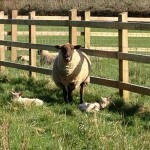 Welcome to the first off grid electricity at Easterdown!!!! 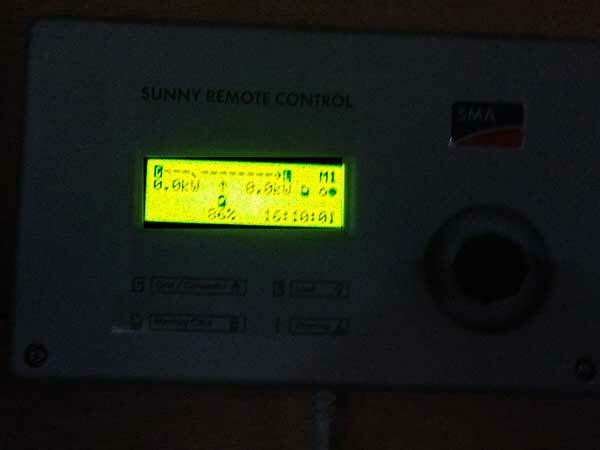 This display says we have charged the batteries to 86%! 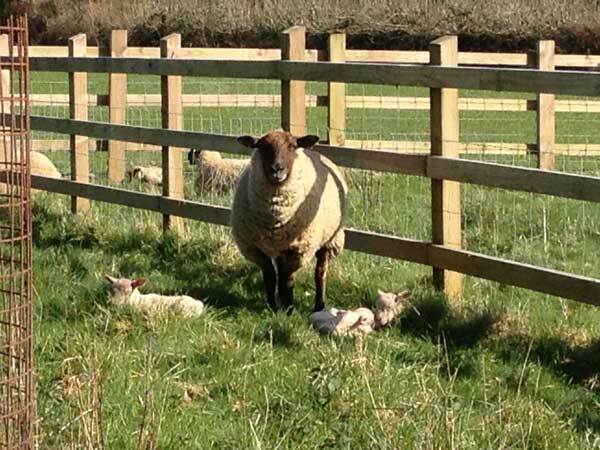 While we were waiting for this to spring into life there are new lambs at Easterdown – not ours, but great to look at! But we took a break over Easter to visit Mike’s sister’s place, The Grange. 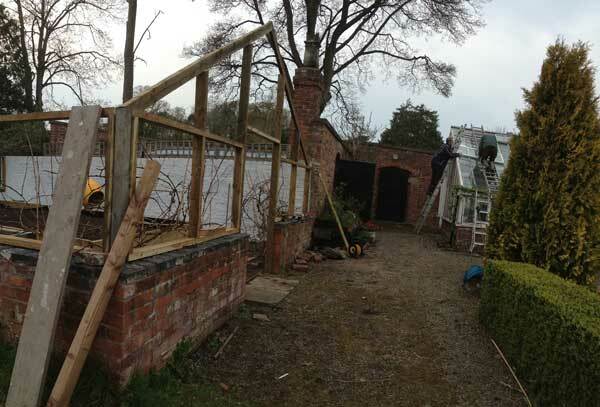 Project Easter – start to reconstruct the fallen Victorian Greenhouse. 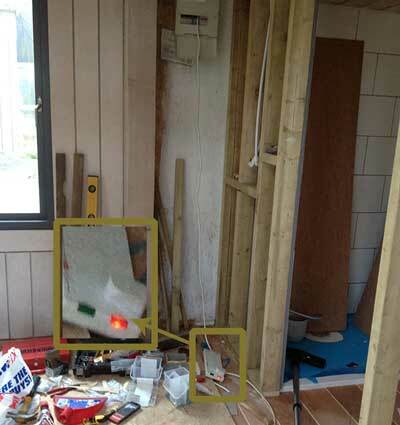 Typical that our ‘holiday’ consists of working on a different construction project. 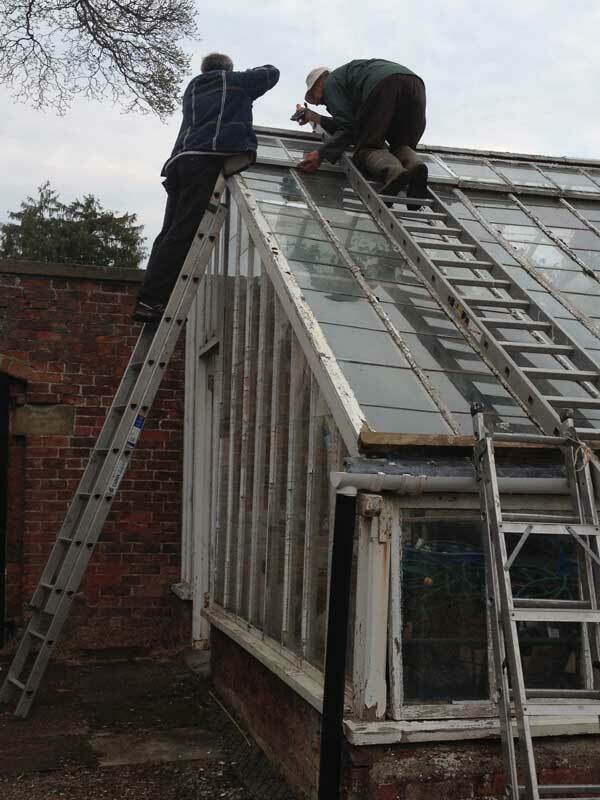 Mike’s Dad’s pet project – the endless restoration of the big greenhouse. As soon as he gets to one end the other end is ready to be restored. 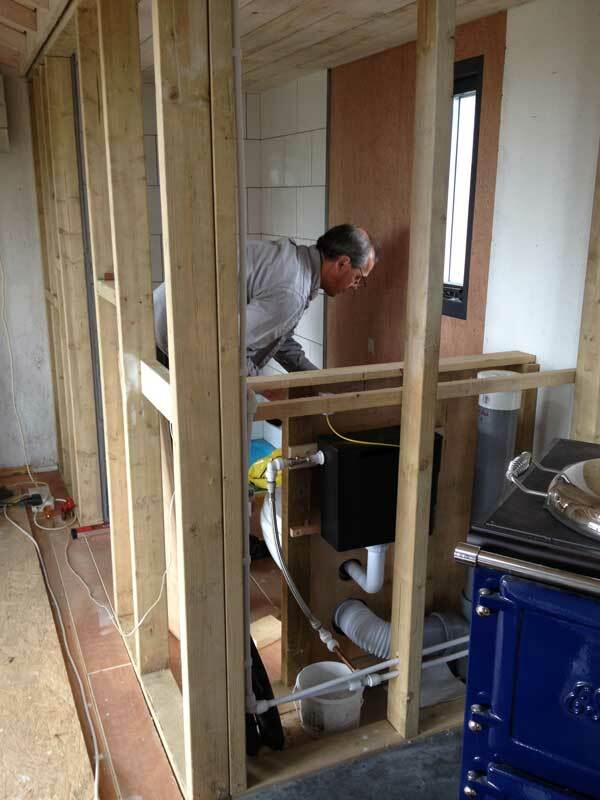 Back at Easterdown, plumbing continues. love the sink! Where is that from Vickie? 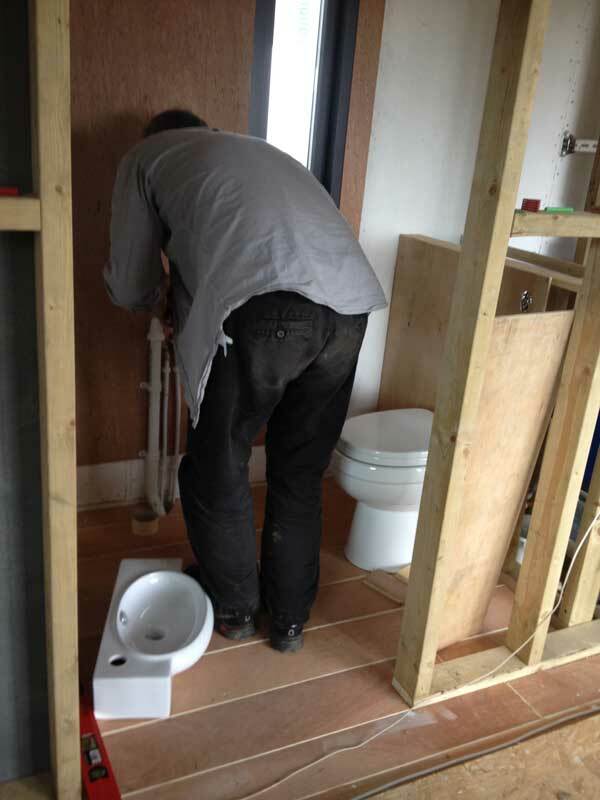 We also had another version of the same sink in our previous house – just google ‘double belfast sink’. There are various really bon marche versions that are fantastic. It was about 150 pounds, as I remember. 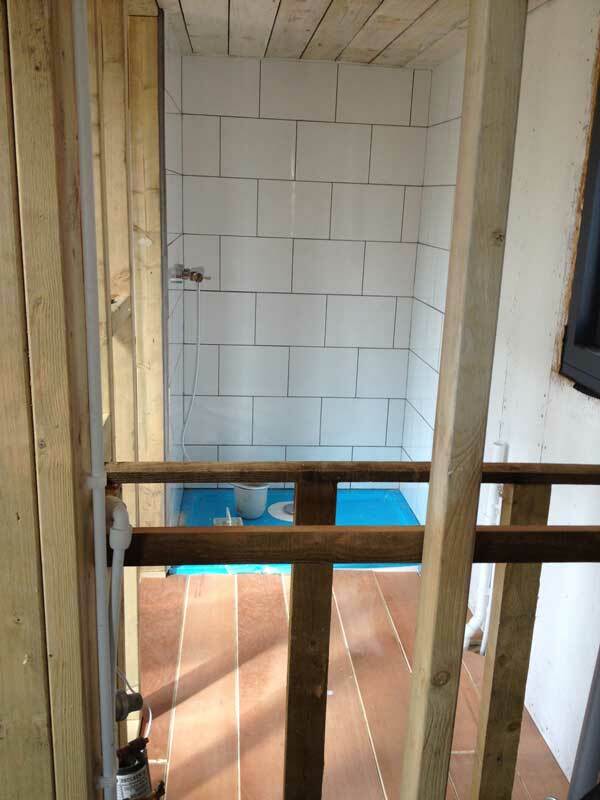 It is especially small to allow wheelchair access to that bathroom. It really is VERY small. But cute.